Delegation, is it an Art or a Science? Weather you manage projects as a profession or not, we all find ourselves involved in many different projects, be that our own personal or participating in someone else’s as a stakeholder or contributor. Here below are the most common types of problems project managers face while managing projects to internal or external customers. 1. Your Client Gives You Vague, Ever-changing Requirements. The client doesn’t know what they want until a certain stage is complete. 2. Your Client is Slow with Communication. It’s tough to move forward on a project if one can never get answers from the person you’re working with. 3. The Project Doesn’t Start On Time. The client says today this project is top priority but tomorrow a different project becomes more important. 4. You Try to Manage Every Project the Same Way. Situations, people, and goals change over time. 5. The Client Doesn’t Like What You Created. Make sure it is understood not just the technical requirements of a project, but also the underlying rationale of the clients. 6. Your Point of Contact Doesn’t Seem to Care About Your Project. The project’s final product will have no direct effect on the person’s job and they provide minimal guidance. 7. Too Much Time is Spent Solving Problems After Projects Are “Live”. This problem is caused by focusing too much on production, and not enough on testing. Of course nobody can take a cookie-cutter approach when managing a project and project managers face daily many different situations that require quick, balanced and smart approach to problems balanced with very powerful and structure communication plan but it is still very interesting and important to pay attention to each of the points discussed above and keep these points always handy since they most likely will be part of your project. Another key issue and consideration regarded to project management is the fact that project managers have to deal with people and only those who have managed people know how rewarding or stressful it can be. Because people have their own interests, moods and personal problems, project dynamics can change daily and the same project that is running flawlessly today can get derailed or to a screeching halt due to the “work” of few very quickly and without any major signals or announcements. This is why conflict management and communication plan are very powerful tools that allow the project manager to maintain sanity and keep their projects running the best way possible. Very hardly a project manager can really manage a project from the distance without checking the pulse of its team dynamics by living, feeling and experiencing how the team is performing on its most basic levels. 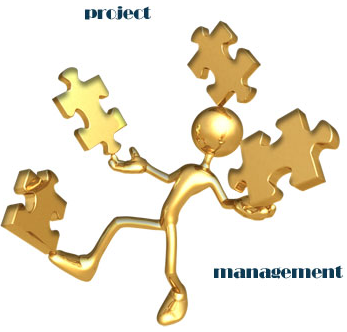 Project manager cannot become detached from their projects and try to run it bureaucratically instead of participatively, at least not without major consequences to the project results and success. Have you experienced any or all of the 7 common project management problems listed above? If so, how have you handled the situation and what was the result? JIT – Just-in-Time or Just-in-Trouble? The importance of managing risk through the supply chain has become painfully evident as a result of natural disasters which have occurred in recent months and years. Despite the obvious human cost and tragedy that ensued, catastrophes caused by the earthquakes, tsunamis, flooding, factory explosions and volcanic eruptions have all impacted enterprises who source globally, and who have embraced Lean/JIT practices at least to some degree. The supply chain effects of these catastrophes have lead to a JIT rethink, but it is clear that many companies have failed to put in place back-up plans to cope with emergencies like the Japanese catastrophe. They were content to place all their eggs in one basket like Japan or China owing to low production costs while ignoring the obvious risks of natural disasters. But even where companies had a disaster-recovery plan in place, room for maneuver depends largely on the nature of the industry. The production philosophy born on the factory floors of Japanese car companies is a global management practice and has saved companies billions of dollars. The idea behind JIT, or lean manufacturing, is to have the supplies a firm needs at the exact moment that they are needed. Most of the companies, with production systems based on just-in-time inventory management, understand keeping minimum inventory has its risks. The problem for many global corporations is that they are mesmerized by cheap production costs in disaster-prone countries. They know the natural disaster risks but feel that their infrequent occurrences on a major scale justify the risks. Nature is not the only threat to the supply chain; there are also significant political risks to be considered in many politically unstable countries. The rising production costs in China will favor a shift of production back to countries concerned to have a more secure source of supply unaffected by natural disasters. There are, however, other reasons favoring a production shift back to regions close to their markets, like flexibility to react to market changes more responsively. – Challenge suppliers to develop disaster plans so that they can make provisions to move to alternate sites for production, in the event that they are unable to produce product at their main plant. – Eliminate sole-source suppliers, and developing the capabilities of additional companies. Having one supplier is probably too few, but having five suppliers is too many in terms of achieving economies of scale. – Analyze where suppliers are located, and limiting the number of critical component suppliers that are geographically situated in a risky area. – Review insurance policies and consider taking-out contingent business interruption insurance that protects against losses relating to the inability of suppliers to deliver. Experts have been recommending for years that manufacturers diversify their supply base. After all, recent history is full of examples of widespread supply chain disruptions and their consequences for manufacturers reliant on too few sources, such examples are: attacks to WTC and Hurricane Katrina in USA, flooding in Thailand, factory explosions in Germany, volcanic ash from Iceland and earthquake and tsunami in Japan. Japan One Year Later: What Did Supply Chain Practitioners Learn from the Tsunami? 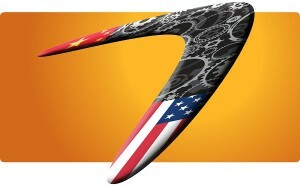 U.S. manufacturing employment was reduced by about six million jobs, or one-third, between 1997 and 2010 but the new trend that has been growing over the past two years is the re-shoring of some manufacturing work that was “off-shored” to low-cost producers like China in the past few decades. Producing in Asia is not as big of a no-brainer as it was 10 years ago. U.S. manufacturing has become attractive for some companies as Asian wages have surged over recent years and the wage gap between the U.S. and China has narrowed. The drop in the dollar over the past decade has also made U.S. produced goods more competitive. And higher oil prices have increased the cost of shipping goods across oceans, making domestic manufacturing more appealing. The U.S. also suffers from a shortage of trained workers in some areas vital for manufacturing, such as engineering and operation of computerized machinery. U.S. corporate taxes are higher than those in most other industrial nations. Products more likely to be re-shored include heavy or bulky items for which the shipping costs are high in relation to the price, such as heavy machinery. Other candidates for re-shoring include expensive items subject to frequent changes in consumer demand for certain colors or styles, such as high-end clothing, home furnishings or appliances. Makers of products for which safety is a paramount concern—such as food or baby products—might choose to make them at home so they can closely monitor all of the suppliers of parts or ingredients. In terms of labor costs, China still had a big edge, despite rapid wage increases there. Assembly workers at plants in the U.S. typically earn about $12.40 to $16.50 per hour, plus benefits. By contrast, manufacturing wages in eastern China’s big manufacturing hubs are as much as $3.40 to $3.50 per hour. While those Chinese wages are only about a quarter of the level in straight comparison, the effective difference is narrower with estimates that U.S. manufacturing workers on average produce about three times as much per hour as their Chinese counterparts because of greater use of automation and more efficient manufacturing processes. Call centers in India were having typical turnover of 100% or more each year, while typical turnover in U.S. call centers that handled more serious problems was in the single digits which allows U.S. call centers to provide much better service and customer satisfaction. Also currency fluctuations and rising wages in emerging markets are making the United States a lot more attractive in the long run. Chinese labor costs are rising about 15% to 20% a year, which makes producing goods in China not nearly as cheap as it used to be. For many manufacturers, that narrowing is enough to tip the balance back to U.S. plants. One factor that is helping the U.S. manufacturers is that many companies were forced to cut back and are reaping the benefits of restructuring. GM is a prime example of how the most drastic form of reorganization — bankruptcy — can work. The news are great but U.S. still has to re-shore a considerable amount of manufacturing jobs in order to improve unemployment and every American can help by choosing “Made in America” products over products made elsewhere.